The Trump administration is attempting to bully the Venezuelan people into submission through a combination of economic sanctions, military threats and intense international political pressure. 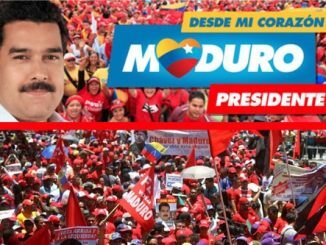 On 22 April 2018 Venezuelans will go to the polls once again to elect their President. Incumbent President, Nicolas Maduro, is seeking re-election for a second term. 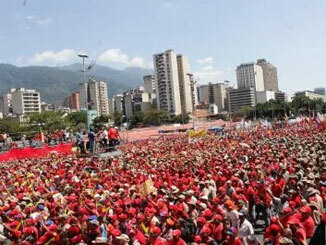 It is essential for the defence Venezuela’s socialist revolution – the continuation of Hugo Chavez’s legacy – that Maduro is re-elected. 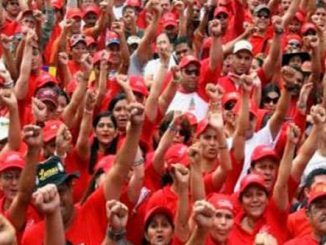 Venezuela is convening a National Constituent Assembly to improve its current constitution. 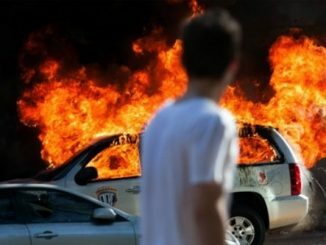 The initiative could help restore stability in the country so is being opposed by those who wish to overthrow the government. The following interview with President Nicolás Maduro, outlines his involvement in Venezuela’s revolutionary process. It touches on his involvement in student politics, the significance of the 1989 Caracazo massacre, meeting Chávez in prison in 1993 and his involvement in the national leadership of the Revolutionary Bolivarian Movement. 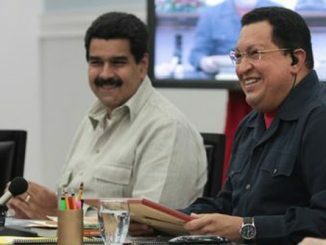 After Chávez was first elected President in 1998, Maduro headed up the Chávista parliamentary group, later taking on the role of Foreign Minister and then Vice President. 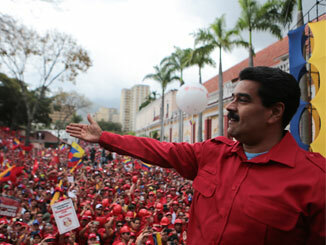 Nicolás Maduro, the Chávista candidate, won yesterday’s Presidential election in Venezuela. However, Venezuela’s right wing, which coordinates with the US, is determined to escalate its destabilisation campaign, so is refusing to accept the result.